Grape blend obtained from different vine varieties (Chardonnay, Sauvignon, Pinot Grigio and Riesling Italico) which are fermented separately and aged together. 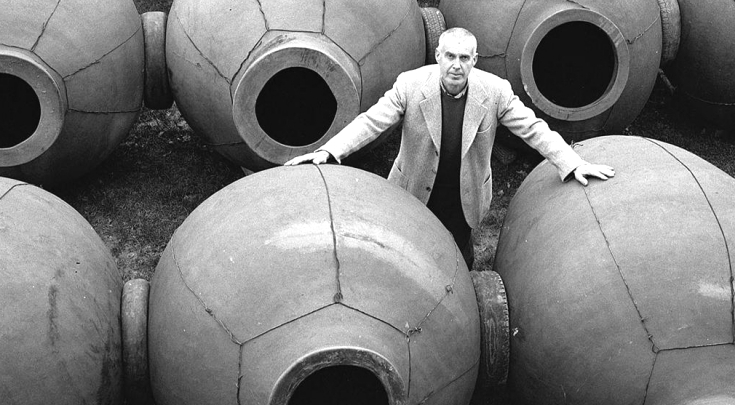 While fermenting in Georgian amphorae buried underground, it underwent a long maceration with grape skin(so called skin contact), with wild yeasts and no temperature control. This was the first year which all the harvested grapes fermented in amphorae. After the drawing off and pressing phases the wine was poured back into amphorae for at least five more months(this was the first harvest in which wine was left in amphorae in total period of eleven months), while the rest of wine started ageing in large oak barrels, where it was left for three years. Wine is bottled without fining nor filtration.